National Pubwatch remains an entirely voluntary organisation set up to support and encourage Pubwatch schemes with the key aim of achieving a safe, secure drinking environment in all licensed premises throughout the United Kingdom, thus helping to reduce drink-related crime. Its national committee continues to comprise individuals with a wide cross section of experience of licensing issues. This is the third national conference members of this committee have organised, the first being held in London in November 2003 and the second held in the Home Counties in April 2005. A wide range of positive feedback from the second conference influenced the committee in deciding to hold its third conference further north – this time at Chester racecourse in the north west of England. Similar to the previous two conferences, representatives from Pubwatches, licensing trade associations and companies, Local Authority Trading Standards and Community Safety Officers, Drug Action Teams, Police Forces, Association of Town and City Centre Managers, Magistrates Associations, Crown Prosecution Service and relevant Government Departments were invited to attend from the Midlands, Wales and the north of England. With considerable help from the active Chester Pubwatch, every effort was made to attract the attendance of more local Pubwatch members. Delegates numbering 206, together with 40 guests, speakers, exhibitors, media and staff attended and received a delegate pack. Unfortunately, none of our supporters within both Houses of Parliament were able to attend, although it was pleasing to have the company of the local MP for the city of Chester, Christine Russell, for the morning of this conference. Committee members agreed that speakers should give presentations in the morning, with the afternoon devoted to participants attending one identical Workshop entitled ‘Pubwatch: Strategies for Success’. A Panel discussion followed the main presentations. Panel members consisted of most of the speakers and a representative from the Security Industry Authority. The committee wish to thank all the sponsors for supporting this conference. They include the Government Office for the North West, Home Office, Greene King Pub Company, Laurel Pub Company, Morning Advertiser and the British Institute of Innkeeping. Thank you also to Sky Pub Channel for filming the event, its highlights subsequently appearing on their programme, Chester Pubwatch for also similarly filming, the Publican for agreeing to allow Daniel Pearce, their Deputy Editor, to facilitate the Panel discussion and the speakers together with Workshop facilitators and contributors for giving up their valuable time. We also wish to express an additional thank you to the local media for their presence and coverage of this event. Additionally, the committee wish to thank staff of Heathcotes and Chester Racecourse for their enthusiasm, support and experience in assisting with organising this conference. Finally, thank you to all the delegates who attended. The evaluations by those of you who completed them will yet again prove very helpful and useful for the organisers of any subsequent conference. He welcomed delegates to the historic town/city of Chester, gave strong support to the work of Pubwatches and wished all present to have an enjoyable conference. Although he was not able to be present, as President of National Pubwatch, he offered full support for this conference in a pre-recorded video. As a local senior police officer and member of the Association of Chief Police Officers he stated both his and ACPOs support for this conference, as it gives benefits to businesses, community safety and industry. Specifically, it improves liaison, establishes closer working relationship, develops good practice and improves standards. In reflecting on the Licensing Act 2003, he stated that it has also benefited from a targeted enforcement campaign. The extension of licensed hours in many premises has taken place but a decision on who pays for the additional enforcement responsibility has yet to be made. ACPO believe the next steps should include further developing Pubwatch, tackling the excessive drinking culture, encouraging a responsible drinks industry, having closer Police / Local Authority liaison, making greater use of enforcement powers, tackling under age sales and developing a co-ordinated approach. He gave an overview of the development and implementation of the Licensing Act 2003, specifically its statutory licensing guidance, secondary legislation on procedures, centrally set fees and a communications strategy. He also referred to the media campaign during and after transition, predicting chaos, drunkenness and mayhem. At the same time, the publication of “Drinking Responsibly” took place, together with a raft of Government measures, which included drinking banning orders, Alcohol Disorder Zones, new closure power on persistent sales to children and Dispersal Orders. Following Parliamentary anxiety about few applications being initially received by local authorities, contingency plans were put into place. This included a mass publicity campaign involving all relevant agencies and trade organisations. By 6 August 2005, 75 per cent have applied (almost 100 per cent of pubs) with the Second Appointed Day firmly set as 24 November 2005. By this date, 98 per cent had applied. A comparison of the hours approved showed an even downward spread between 11pm and 4.30am (instead of a peak between 11pm and 12am), with a smaller peak at 2am, tailing off at 3am. Ministerial focus then shifted to their national enforcement campaign over the pre-Xmas period. Test purchasing was stepped up, with particular concerns over supermarkets. Results indicated that all types of violent crime decreased during the campaigns held in both late 2004 and late 2005. This led to some positive, albeit local, media reporting. Some favourite moments included a police bar that forgot to apply with a major event planned for senior officers and a court that forgot to apply when it had hired itself out for a corporate hospitality event. The Government fully appreciate that monitoring and evaluation represent new challenges with a need to assess progress with all stakeholders over first 12 months. Ongoing tasks included a review of the statutory guidance work of the independent fees panel and of the guidance to applicants, residents and responsible authorities. Additionally, the House of Lords stages of the Violent Crime Reduction Bill continued, together with the development of a Central Licensing Register. Emerging benefits included Police, local authorities and industry brought closer together with a better understanding of each other’s aims, and that the conditions of licences were now better suited to modern day problems, albeit that some inconsistencies and anomalies still needed to be ironed out. He thanked everyone in local government, industry and the responsible authorities, including the police, who assisted during transition. He concluded that the coming years represent the chance to build on something that could really change society for the better. He spoke on behalf of his Pub Company and its social responsibility, making particular reference to the media scrum/campaign and the barrage of unwelcome publicity it attracted. The costs of, and the conditions attached to, licenses became real issues, yet such reform provided real opportunities, opened dialogue and compromised the existing hours and conditions of a number of licensed premises. This demanded investment to meet the agreed conditions that were required to meet the licensing objectives. Such investment included training, CCTV, restricted admittance of children, Challenge 21 and increased use of door supervisors. Another was the introduction a special button on tills which allow staff to ‘log’ instances, under a menu of reasons, when they have refused to serve customers. He also detailed the support his company gives to National Pubwatch, including sponsoring the annual Social Responsibility Award for Pubwatches. He concluded by posing the question ‘Are We Working Together?’ and outlined a number of points to ponder. These included inconsistencies between local authorities with big differences in relationships, a query as to who should fund Pubwatches, the raising their important role in providing a platform for dialogue and a desire to ensure that there will be strong evidence of success. He spoke on behalf of the national trade association on the theme ‘Protecting Your Business’. He stated that Pubwatch helps protect a licensee through protecting their business and livelihood. 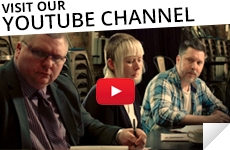 It enables licensees to share information and ideas with fellow licensees, thus developing good practice. He encouraged licensees to not only join an existing Pubwatch, or set one up themselves, but to also encourage others to join. Under-age drinking is a recognised perennial problem for licensees. 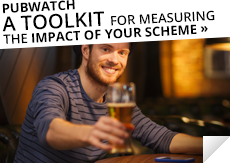 Government enforcement campaigns have found 29% of public houses failed the test purchases made, clearly indicating that all licensees need to become far more active in preventing such occurrences. In fact, an ‘Under 21?’ poster campaign undertaken with retailers and off-license premises led to a reduced their failure rate of 17%. Other efforts included staff wearing badges, which explained that they need to ask for proof of age, and a ‘refusal’ book. 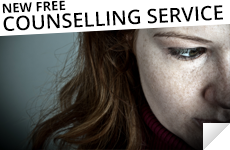 These efforts were enhanced by providing licensees with such information, such as where any drunken person could be fined £80, the licensee on whose premises this occurred could lose their business. 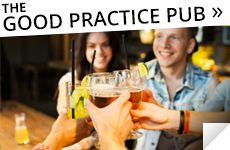 In relation to drinks promotions, licensees are not only encouraged to think very carefully, and over the long term, before introducing them, but also to obtain a copy of the relevant industry guidance beforehand. One such document is entitled ‘Industry Standards on Responsible Drinking’. He further explained that ‘every sale must be authorised by a Personal Licence Holder’ Although this statement is not defined and there is no existing process, a contract of employment should be sufficient. It might also be worth considering having a separate written authorisation, although local authorities cannot insist on this as a pre-requisite. They introduced the City of Chester and the development and activities of their local very active Pubwatch. They gave an overview of the number of licensed premises throughout their county, together with the number of persons banned from each region. Amongst the benefits developed by the local scheme are liaison with the local police, local authority licensing officers and trading standards, the city centre manager and the local Member of Parliament. Banning has clearly had a very positive impact, with the local media very supportive of the efforts of Pubwatch across this county. Both are recognised legal experts in the field of licensing and gave a joint overview of their interpretation of the progress made and problems experienced throughout the transition and implementation of the Licensing Act 2003. Generally, their comments supported those of fellow speakers even if they were critical of some of the procedures and processes of Government. The Panel comprised each speaker plus Colin Braginton, a representative from the Security Industry Authority. It was facilitated by Daniel Pearce, the Deputy Editor of the Publican. An active session has held, albeit that some delegates felt they needed to make lengthy statements rather than pose questions. Nevertheless, much ground was covered in the time available. Delegates attended one identical Workshop entitled ‘Pubwatch: Strategies for Success’. They were asked to identify issues that work and/or are good practice, any contentious issues or dilemmas and any issues which they wish the National Pubwatch Committee to undertake. Each facilitator was able to introduce inputs from either finalists of the annual Morning Advertiser ‘Social Responsibility’ Award for Pubwatches since this award scheme commenced in 2002, other prominent Town Centre Management schemes or interesting Pubwatch initiatives. • opportunities for relevant training, including the development of joint training packages. • how to maintain the correct administration of schemes, including the accurate recording of decisions at meetings. • Having access to funding through lobbying the Government. The number of completed evaluation forms numbered 76, a rather low return for the number of delegates present. Nevertheless, the majority of those who completed them felt they greatly benefited from this conference. Many, in fact, identified tasks they intend to undertake on return to their local role. The quality of their additional comments clearly indicated that the contents of this third conference were totally appropriate and timely, with many stating that they look forward to the next one. The National Pubwatch Committee wish to thank all who took part in this event, without whose participation this conference would not have been a success.